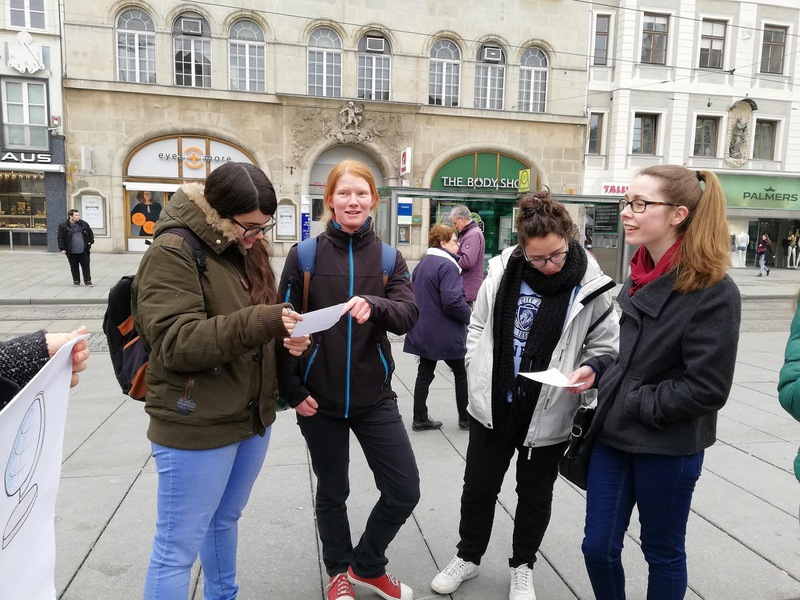 During our Youth Exchange in Vienna we experienced what a great impact sports and movement and spending time with others had on our wellbeing. So, we (Marion and Elisa) decided to spread the energy we gained from that project. We created an event on Facebook and invited everybody to a treasure hunt with the motto “Be a better explorer than Dora”. 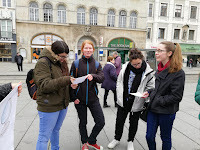 The treasure hunt aimed to combine being active, exploring the city of Graz, having fun together and of course making Erasmus+ projects more visible in our surroundings. We decided on 22 tasks for the participants to fulfil within two hours. 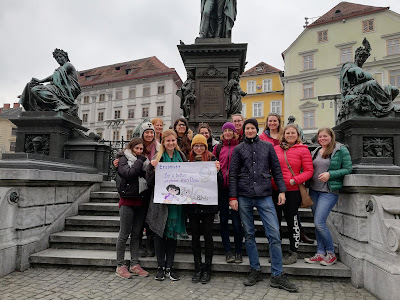 The tasks were a mixture of fun-facts such as “Which international popstar went to school in Graz?” (Conchita Wurst, by the way) , exercise “How many steps lead up to Schlossberg?” (260) and specific Graz knowledge like “Find the snowman that is there all year round”. We asked the participants to take pictures and videos as proof of them having completed each task. One we even completed with the participants after the treasure hunt: we sang the song “Hulapalu” together. We gathered on Saturday 25th of March at the main square. 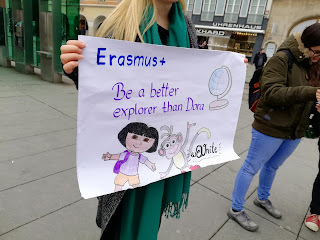 In order for potential participants to recognise us and to gain attention among other people, we had poster of Dora with us. We didn’t even have to wait for a minute and we had a group of people around us who couldn’t wait to start the treasure hunt. We formed smaller groups to enable competition for a very special prize. All in all, we were more than satisfied with the results of our follow-up. Everyone seemed very interested in the Erasmus+ programme, and some people stayed a bit longer afterwards for a chat and to get more information. One participant also showed up on Nina’s workshop, which was a very pleasant surprise. "HOW THE HELL DOES MY FRIEND TRAVEL SO MUCH?" 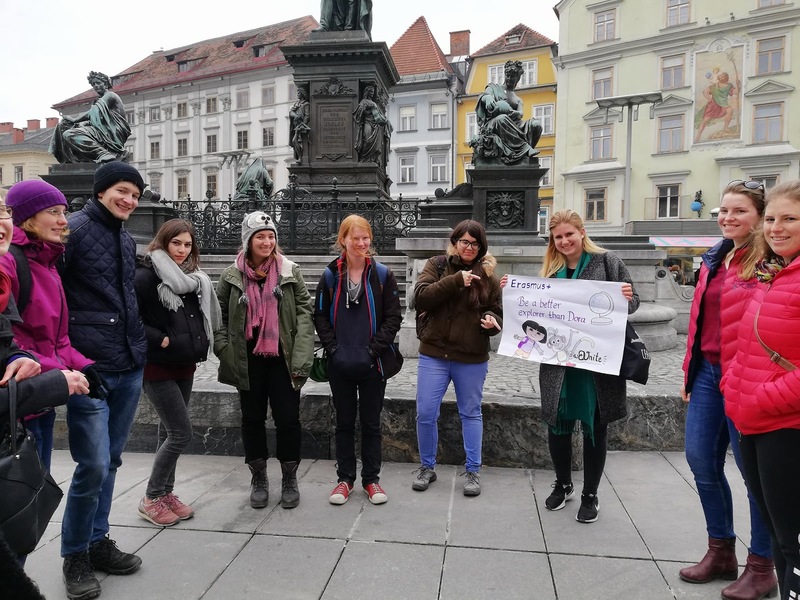 Coming back from the youth exchange in Vienna, we knew that we should think of a follow-up activity that has to do with sports -like the youth exchange- and should promote Erasmus+. As Marion and Elisa already focused on the moving part, Martin and me (Nina) decided to reach out and get people to know about Erasmus+ and all its great opportunities. 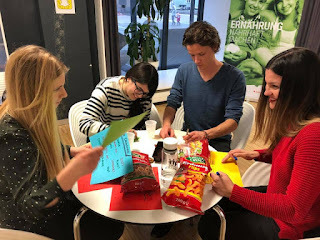 While brainstorming how to best do this, we agreed together with the whole Austrian team, that the fact that we all travel quite a lot by participating in projects, we should definitely use it for a catchy title. Said, done. 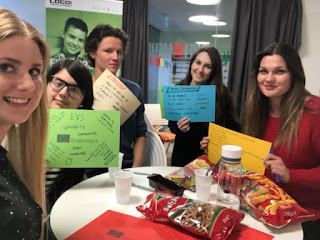 On 29th of March we implemented our little workshop on Erasmus+ in Logo Youth center in Graz. While it rained outside we got to know each other, exchanged our experience in the world of E+ and thought about why it is so hard to get people to try out something new. Although our workshop did not go as planned, as everybody knew lots about E+ already, we managed to quickly change our plans and work with what is there. It has been a great afternoon and we are looking forward to putting our idea into action!